Events are a great place to utilise video. In their very nature they are designed around giving an audience a great experience. Whether it’s to entertain or inform. The amount of effort and time that goes into the planning and making sure everything goes smoothly is huge and can be very stressful. The reason events have so much pressure is that you are dealing with an audience face to face. It could be 20 people or 20,000, it doesn’t matter the people attending will expect everything you promised in the invite. If you don’t deliver the consequences are often not worth thinking about. And so planning an event however simple really motivates ideas and focus. If it’s a business or organisation event it becomes important that the audience sees you in the best possible light. The branding, the way the stage or stands look, the way your staff are presented and how they talk to people. The event represents you. All these reasons are why events are the perfect setting for creating video content. Unfortunately it is often the last thing on people’s minds when in the planning stage. Worrying about timetabling, ensuring there is enough food and seats and getting enough people to attend rightly take the focus. Fear of everything going wrong on camera puts people off planning a video until very late in the process. And then when the majority of the budget has been used it comes down to a cost decision. It becomes an add-on which is either affordable or not. If you decide that it’s not worth it I understand but I’m afraid you’re wrong. Unless you’re audience is only the 20 people attending that event you’re crazy not to use video. You’ve just spent all that time and money directing all you’re best efforts into an event that will no doubt show you off to be amazing at what you do. The people who attend will have directly benefited from something you did. This is you’re time in the light! And it might only last one day! Video lasts forever and it doesn’t have an audience capacity. Even if you’ve never used video before to promote what you do or the service you provide, your events are always a great place to start. It is all there. All you need is to decide what kind of video will benefit you the most. Is it live streaming it to the world or posting any talks for more people to see? Creating a promotional film about the event to encourage people to attend the next one? Or maybe just using your audience to tell people how awesome the event is and then how awesome you are? We’ve filmed a huge variety of events over the years and always have that moment when we turn up and see the enormous pressure the event organiser is under. Seeing us they start to worry about what we might film, what people might say, will we be in the way, are they going to have to lead us around? Our first priority is to alleviate all this stress. We remind them that they’ve already told us what they want and need. Remember we aren’t a news crew, we are you’re very own biased film crew. It doesn’t matter if something goes wrong or someone says something wrong. It will not make the edit. You just concentrate on the event, point out the important people to us and relax. We’ll do the rest. 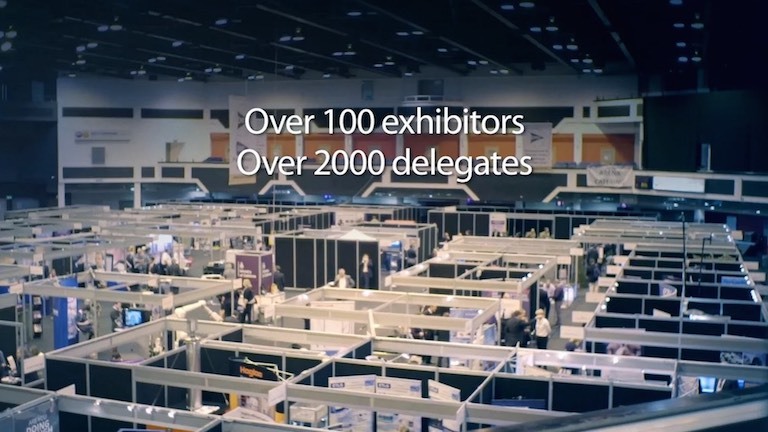 Here is an example of a recent video we made centred around an event. If you have an event coming up give us a call let s talk about how video can make it last forever.